From the 19th century some men socialised together in male-only clubs – plush gentlemen’s clubs for the élite, and more humble workingmen’s clubs for the working class. Freemasons combined fraternity with ritual and regalia, while organisations such as Lions and Rotary focused on social service. Until the late 20th century men often socialised in male-only situations. A wide range of men’s clubs were set up. Most were places to eat food and drink alcohol, and often involved some secret rituals. By the 21st century almost all allowed women to join. Gentlemen’s clubs were exclusive associations of wealthy men, with buildings where members could socialise, drink, eat, relax and sometimes stay. They were set up around New Zealand from the 1840s, and had elegant decor and strict codes of behaviour and dress. From the 1990s some began admitting women. 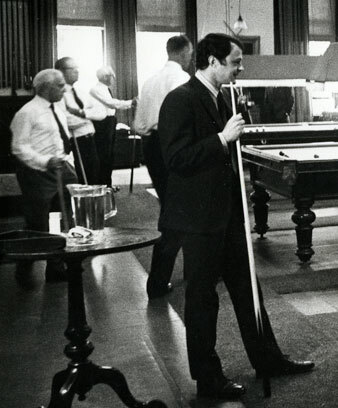 Workingmen’s clubs allowed working-class men to socialise together in a more pleasant, refined atmosphere than pubs. They had libraries and encouraged self-improvement. In the 20th century the focus changed more towards drinking and socialising, including sports and games. In the later 20th century most allowed women to join, and some changed their names to cosmopolitan clubs. Freemasonry (also called Masons) is an international men’s organisation, set up in New Zealand from the 1840s. Most Masons are Protestants. Their meetings include ceremony and symbolism, which are kept secret from non-members. Members dress in special, ornate clothing. Masons support charity and look after members in need. Friendly societies – including the Foresters, Odd Fellows and Hibernians – provided financial support to members and their families if they became ill or died. The societies provided medical care and ran pharmacies. Some had a focus on temperance (limiting alcohol consumption). Membership of friendly societies fell after social security was introduced in 1938. Service clubs focus on community service as well as socialising. Originating in the US, they include Rotary, Lions and Jaycees. They were very popular in the later 20th century, but membership had fallen in the early 21st century.